The Shireburn Freight System (SFS) addresses the complete range of business processes to meet the needs of a modern freight and forwarding agency, automating time consuming aspects and leaving your staff to concentrate on growing your business. 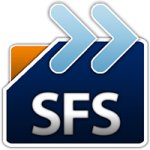 SFS is a modular solution, allowing implementation of just the required modules and is able to handle multiple principals and operating companies with opportunities for configuration to meet any specific requirements. It is able to address the needs of both full load and groupage consignments. With EDI and Customs compliance straight out of the box, SFS increases operational efficiency by automating repetitive tasks and reducing posting errors, while also incorporating the necessary audit and control mechanisms. Able to handle both imports and exports, SFS also features manifest processing, ample documentation, statistics and reports, and extensive support. SFS is currently implemented at the majority of freight and forwarding agencies in Malta. When I set up my business, I needed a software system to enable me to manage my freight and accounting requirements. I had worked with Shireburn before and didn’t hesitate to rope them in on this project, providing the software solutions and support for my new business. Freight Systems is a leading freight forwarding company located in Malta.